Feel the Energy and Vibration of the Dolphins! Dolphin Energetics Therapy is a therapy that connects people to the dolphin dimension where love and light exists.Dolphins are holding the vibration of Love and Light on the planet. They connect with that energy and share it with us through various transmissions. If you are lucky enough to swim with dolphins, you can feel first hand their transmission of love to you. However, not everyone can swim with the dolphins, therefore, it has fallen upon us to take the energy and vibration of the dolphins to others. Dolphin Energetics is a healing modality that allows humans to be a conduit for dolphin energy. The Dolphins have been holding the vibration of Love and Light on the planet long enough, now they are passing the torch onto us to hold that vibration for the planet. Practitioners of Dolphin Energetics Therapy are able to connect to the address where dolphin consciousness exists and bring the client along to that place. You don’t need to be in the water with the dolphins to connect with their energy. One need only have an intention and an open heart to feel their love. Experience Dolphin Energetics on the Mermaid Water Massage Table. 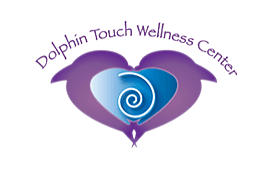 What does Dolphin Touch Therapy Help with? A Release of Old FearsConnecting to the Love that you are! 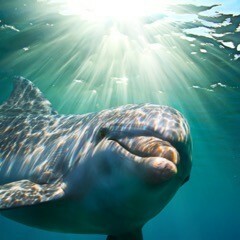 Do you have to be in the ocean to receive a Dolphin Energetic session? or (3) Long Distance Via Phone or Skype. 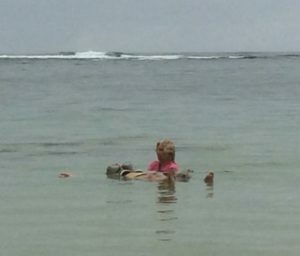 In the water, we take you out into the ocean to a calm beach and have you float on your back while you receive your session. Have we had dolphins show up during our sessions, yes! They can literally come into the bay where we are, charge the water we are about to enter and put on a whole jumping and spinning show for us! We call these sessions Aqua Dolphin Energetics™ Therapy. Here you receive gentle movements to open your meridians and allow the energy to flow freely through the body. You are moved through the water releasing, clearing and cleansing as you go. In Dolphin Touch Wellness Center, we have a water massage table that we affectionately call the Mermaid Table. On this table, you are nurtured and supported on your journey. A lot of the healing that the dolphins provide is work with the inner child. This involves going back to the womb and beyond. The mermaid table is perfect for that because it creates a very nurturing environment where one feels cuddled, cared for, and safe. In this state, you can really open up and let go. Traveling back in time to your earliest memories and moving forward after clearing your past and creating a new reality. This process usually takes 3- 4 sessions to complete. Dolphin Energetics™ long distance involves a mutually consented scheduled time that we schedule to meet via phone or Skype. After an agreed upon time has been set, we connect in with your energy and wait for guidance from the dolphins. Then we either do work through a meditation together, do an energetic clearing or release brain patterning that no longer serves.